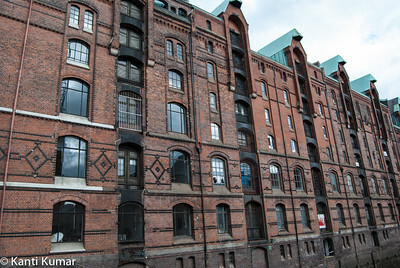 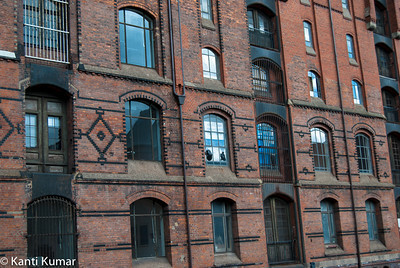 The century-old Speicherstadt in Hamburg is the world's largest contiguous warehouse complex. 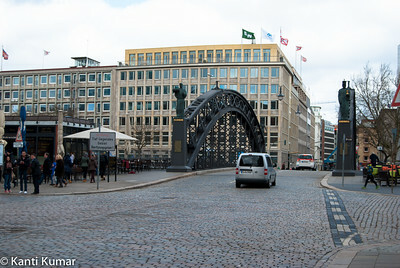 There are 4500 such bridges over canals in Hamburg. 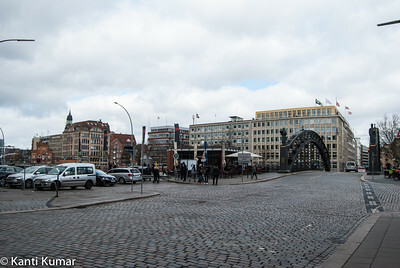 A view of neighbourhood of Hamburg Wunderland and Dungeon. 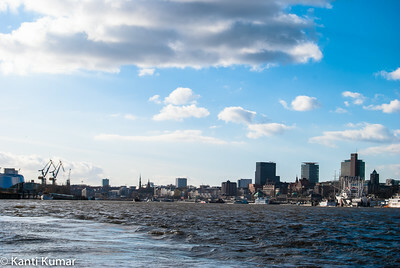 A view of the port of Hamburg. 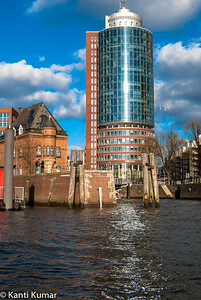 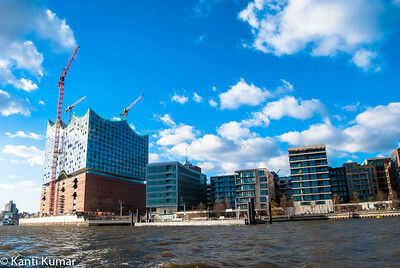 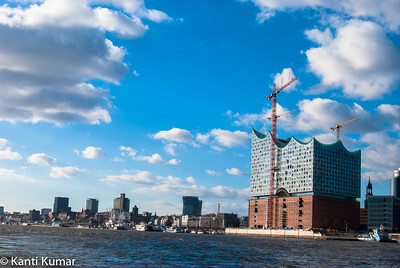 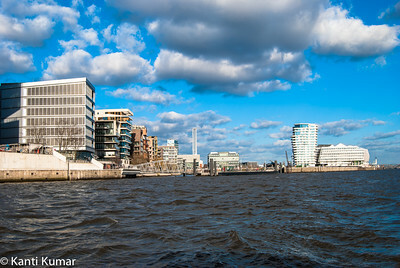 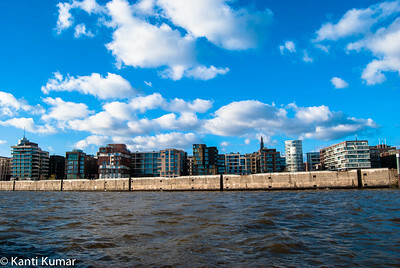 A view of the new HafenCity of Hamburg. 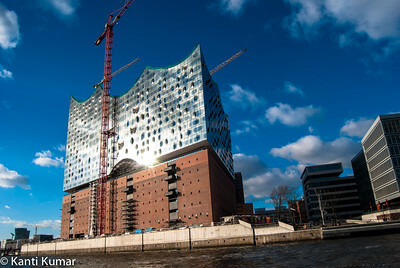 At its highest point, the new Elbe Philharmonic in Hamburg reaches a height of 110 metres and spans an area of ​​27 football pitches. 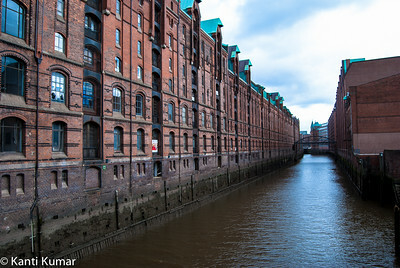 On canal tour of Hamburg. 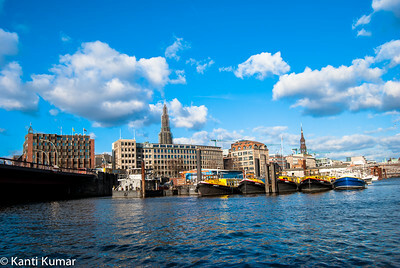 A view of the harbour of Hamburg. 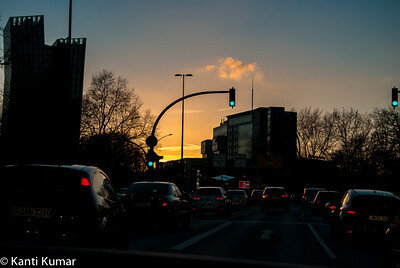 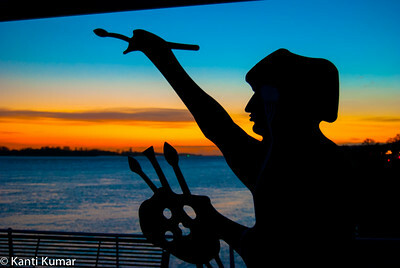 The evening dawns on Hamburg. 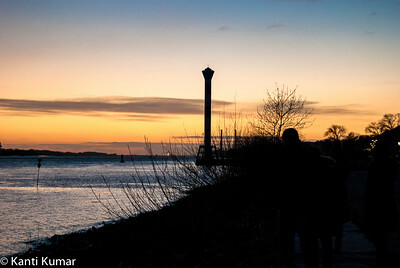 Sun sets on the shores of river Elbe in Blankenese, the former fishing village. 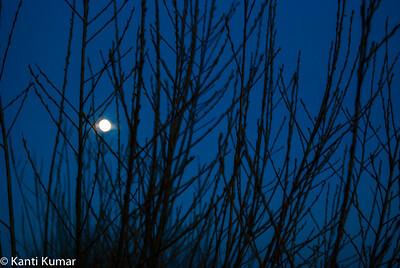 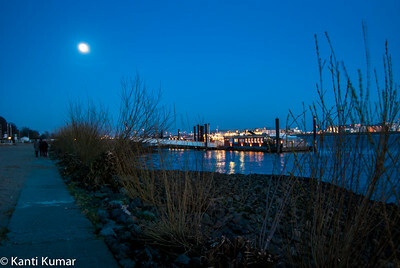 Moon rises on the shores of river Elbe in Blankenese, the former fishing village. 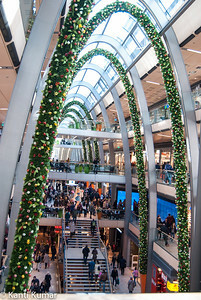 Europa Passage shopping mall in Hamburg. 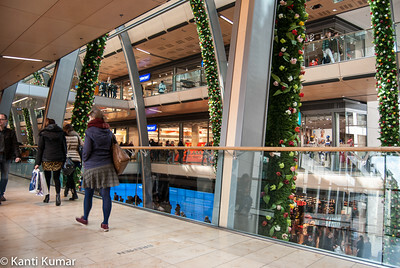 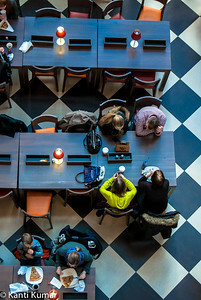 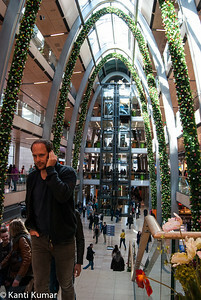 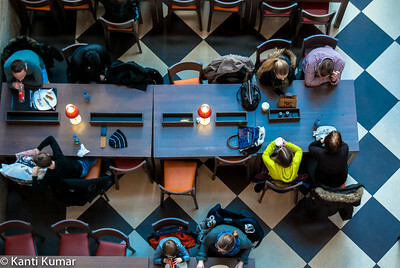 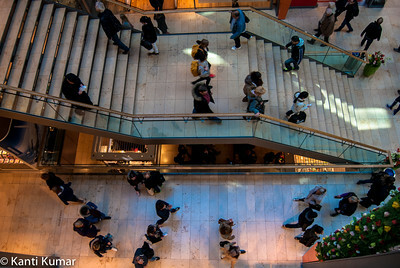 Inside Europa Passage shopping mall in Hamburg. 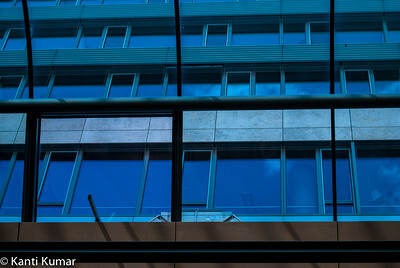 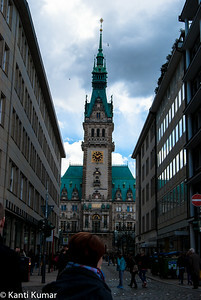 View outside Europa Passage shopping mall in Hamburg. 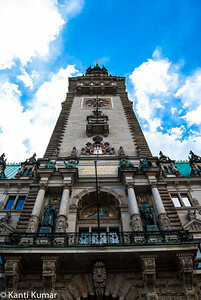 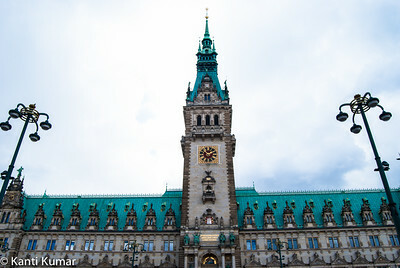 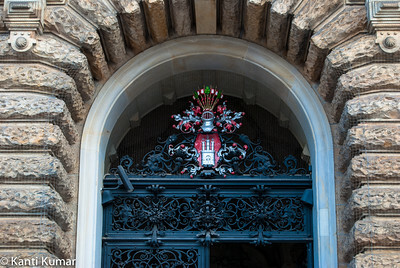 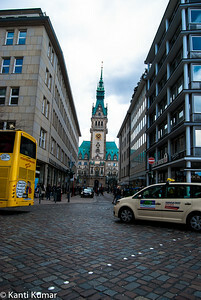 Hamburg Town Hall was built from 1886 to 1897 and with its impressive architecture dominates the centre of the city.